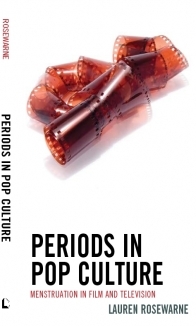 Menstruation seldom gets a starring role on screen despite being experienced regularly by nearly all women for a good many decades of their lives.Periods in Pop Culture: Menstruation in Film and Television, turns the spotlight on period portrayals in media, examining the presence of menstruation in a broad range of contemporary pop culture. Drawing on a vast collection of menstruation scenes from film and television, this study examines and categorizes representations to unearth what they reveal about society and about our culture’s continuingly fraught relationship with female biology. Written from a feminist perspective, menstrual representations are analyzed for what they reveal about sexual politics and society. Rosewarne’s thorough investigation covers a range of topics including menstrual taboos, stigmas and fears, as well as the inextricable link between periods and femininity, sexuality, ageing, and identity. Periods in Pop Culture highlights that the treatment of menstruation in the media remains an area of persistent gender inequality. For media queries, please contact Lauren. Use the SITE SEARCH to find the book mentioned in opinion pieces or the media. Order from Amazon or The Book Depository or ask at your local bookstore. Visit WorldCat to locate it in a public library.